Creative Blueprint is proud to present the work of Sara Ann Davidson at our Seattle location. WISH FOR MORE WISHES is a collection of photos and sculpture documenting magical acts performed 2014-2016. 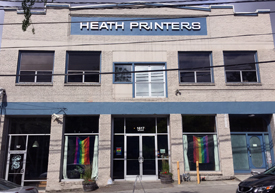 Join us for the opening reception during the Pride Edition of the Capitol Hill Art Walk! Sara Ann Davidson is a visual and performing artist based in Seattle.